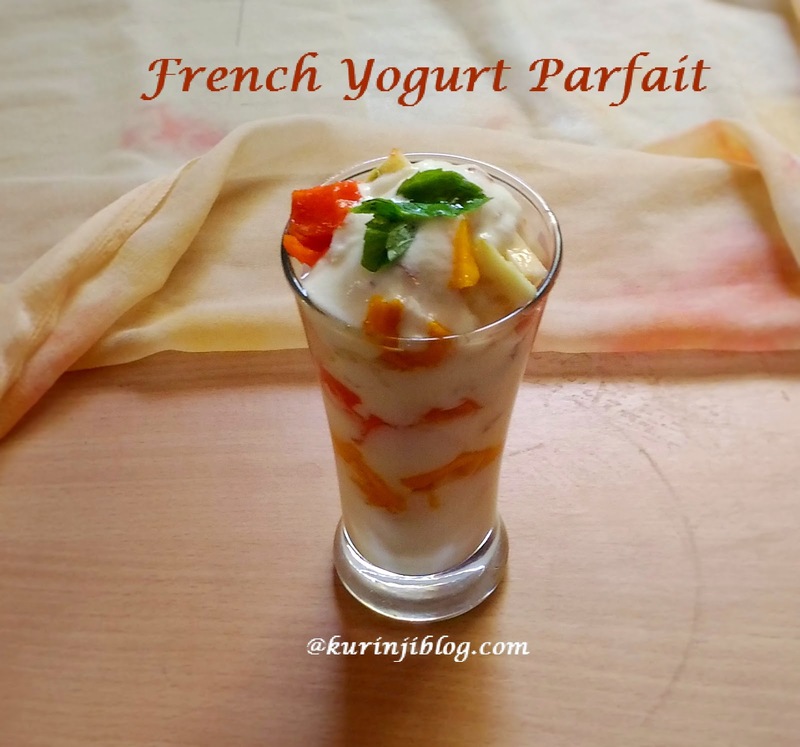 Parfait is a French style layered dessert. We have to use different fruits and creams for creating different layers. 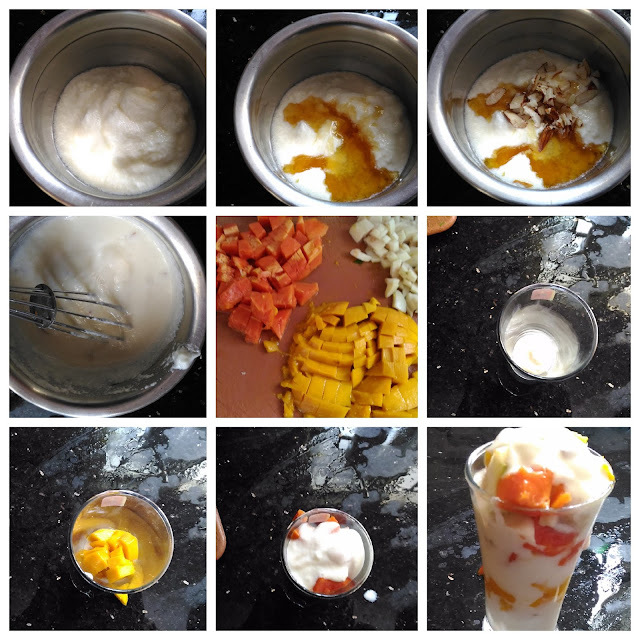 In this recipe, I used fruits and yogurt for creating the layers. Parfait is always very attractive and kids gonna love it. Parfait is the nice way to make kids have even fruits they don’t like. Just put them in a intermediate layer. 1. Add curd, honey and sugar in a bowl. Mix them well and refrigerate for 2-3 hours. 2. Remove the skin of the fruits and chop them into small pieces. 3. Take a long glass jar, first add 2 tbsp curd and then add 2 tbsp fruits. 4. Again add curd and fruits. 5. Again add curd and fruits. 6. Finally sprinkle chopped badam and serves it immediately. 1. Fruits are your choice. 2. Add 2 tbsp of honey instead of sugar and vice versa.